When you choose Precision Wire Technologies, you’re not just buying a spool of wire – you’re engaging in a partnership where we all want your business to grow. Our one-on-one personal customer service will ensure you get the attention and quality service you deserve, whether ordering 10 lbs. or 50,000 lbs. PWT is an ISO 9001:2008 certified manufacturer of specialty wire in a wide variety of alloy materials. While our specialties include resistance wire, mechanical wire, music wire and lighting wire, we pride ourselves on our ability to meet and exceed your tight diameter and resistance requirements in custom applications. When we say no job is too big or too small, we mean it. With our in-house wire drawing diamond die finishing capabilities we are able to run a specific size to fit your unique needs and provide the fastest turnaround in the business. We supply both round and flat wire, ranging in size from .00087 (51 GA) to .156 (6 GA) diameters and with spool sizes ranging from 1 to 250 pounds and pail packs. Custom spooling solutions and inventory services are not a problem, and our turnaround time can be as quick as a few days to a few weeks. Our team would love to be your partner on your next project. Check us out on LinkedIn, or Contact us today to get started! David has acquired a vast knowledge of business and operations through his unique background and experience in consulting and leadership positions with various organizations. He has held several executive positions from General Manager to CFO and has over 10 years experience serving a dynamic client base as a consultant. His work has extended into all types of industry including wire drawing, food production, sheet metal fabrication, service industries, distribution, and many other manufacturing businesses. He is a Master Black Belt in Lean and Six Sigma and has used his skills to improve all facets of business both strategic and tactical. 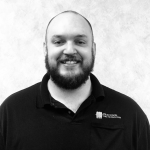 David is a graduate of Purdue University and currently resides in Fort Wayne, IN with his wife and 4 children. If you’ve ever called our offices or ordered from us, there is a pretty good chance that you have worked with Lisa. 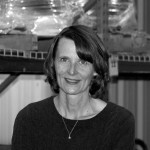 She has been with Precision Wire Technologies for 25 years in the wire industry even longer. 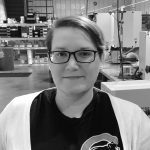 Lisa is great at finding creative solutions for customers and sourcing nearly any alloy a customer requires. Lisa is also an avid quilter and golfer, and loves spending time with her family when not in the office. 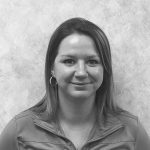 Aubrey joined Precision Wire as an Administrative Assistant in 2017. With a background in hospitality management, Aubrey has a key understanding of customer service. She takes pride in delivering superior service to our customers on a day to day basis. In addition to administrative tasks, Aubrey also assists with inventory management and order processing. In her free time, Aubrey enjoys spending time with family and outdoor activities such as hiking and bicycling. With 30 years in the industry, there aren’t a lot of challenges Pat isn’t ready to take on. In the shop he manages the production schedule and oversees all facets of production in our shop. Pat is the type of guy who loves to continually innovate and update processes and procedures, and always keeps the goals of our customers in mind with the finished product. When he isn’t in the shop he enjoys astronomy, golfing and bowling. 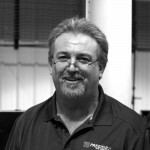 Joe Sauter has been with Precision Wire Technologies for over 12 years. He started in the drawing department and is now the Quality Manager. 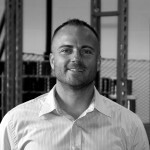 Joe strives to exceed customer expectations and improve internal processes. He is not afraid to get his hands dirty and jumps in where ever needed. Joe enjoys spending his free time with his wife and three daughters, usually playing games. Megan has been at Precision Wire Technologies for about 5 years. She started in the quality lab and made her way through the whole process. With knowledge in each department, she has made her way into the office. Megan now controls inventory, marketing, and some daily office needs. In her free time you can find Megan making memories with her family and cheering on her nieces and nephews at various sporting events. Stay up to date with Precision Wire Technologies! © 2019 Precision Wire All rights reserved.